Betting on horse racing is a hobby for some people, although others can make a good profit from it and take their betting very seriously. If you are a punter who places bets for fun right now, but you want to move to the next level and take your betting seriously then there are a number of things you must do to give yourself the best chance of winning. Making a long term profit on horse racing is very difficult, and you have to be a good gambler to do this. When you make the step up from being a fun gambler to being one that specifically aims to make a good profit from it, you have to change the way you view things and become more professional. Here are a few things to consider when you make the step up. There are many different horse races taking place every single day, you do not have to place a bet on every one of them. You also don’t have to bet every day either if you don’t fancy something, so don’t force yourself to bet. If you treat betting as a long term proposition then you will have hundreds of opportunities coming to you each week, you don’t need to take advantage of every single one. The best method is always to wait for a betting opportunity to come to you, don’t go looking for one or bet for the sake of it just because you haven’t placed a bet on that day. If you don’t bet for a full week because there is nothing catching your eye, then that is far better than betting for the sake of it and potentially losing money. By forcing yourself to find something to bet on you will only get yourself into trouble at some point, and end up losing your money. Many people view horse racing as one sport and bet on all types of races. However, there is a big different between a 5f all weather race for two year olds and a four mile chase over fences. The big difference in these races also means that they need approaching in different ways and your method may be better for one than it is for the other. With so many different races each day, it is possible to become an expert in one type of race, rather than to simply bet on anything that you fancy. If you decide to specialize then you will have a much better idea of what is required to win a certain race type, and the horses that are involved will be very familiar to you. 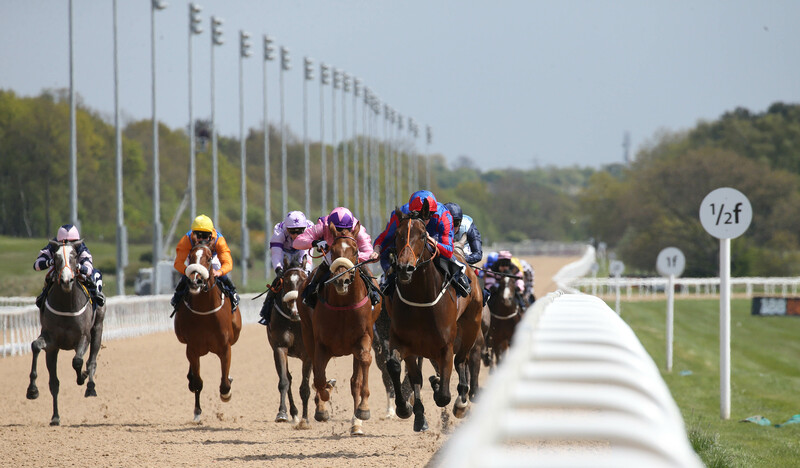 For example, if you decide that flat sprint races are where you want to place your bets then you will be able to watch all of these races, and get to know the horses that are taking part. The additional knowledge that you will pick up will only enhance your betting and give you an advantage over those who don’t have the same in depth look at the race type that you go with. If you want to be a professional gambler on horse racing who makes money and has an advantage over the rest of those betting then you have to take things very seriously. Every time you watch a race meeting you should always try to learn something about the course and how racing works there. For example, it could be something about the draw, something that shows you front runners have a good chance of winning or the type of horse that is suited by the track. These small nuggets of information that you pick up can be used in the future to give you the edge over everyone else. Every single racecourse in the UK has a different make up, and this is a variable that many punters do not think about when placing their bets. Just because a horse has ran well last time out, doesn’t mean it will do again and a lot of that can be down to the course it is running at. For example, some courses are tight left handed tracks, where others are big open galloping tracks that have long straights. Different horses will react differently to each of those, and knowing about each course and what is favours can really help you work through the field. Horses are fantastic animals and those that are at the top of their game for a long time are often ones that the public get attached to. When you are betting in a race it is vitally important that you bet with your head, based on the ability of the horses that are taking part and not based on what your heart is telling you about who is your favourite in the race. Betting with your heart may feel good at the time, but it is not the way to make money if you want to become a profitable punter. When you are looking at a race, if you are being drawn to a horse because of an emotional attachment to it then often the best thing to do is to leave that race alone. 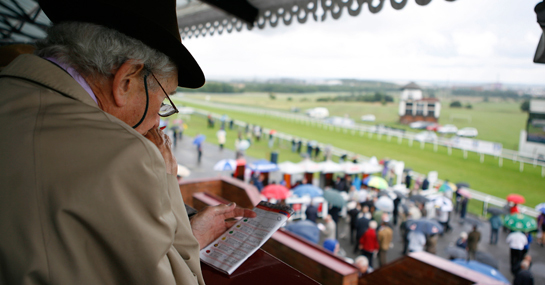 You may not be able to bring yourself to betting against the horse in question, but that doesn’t mean that you should out money on it to win either. When putting money on a horse to win, you should do so because you believe the horse is going to win the race, and not because you have an emotional attachment to the runner. Horse racing often brings out the best in both horses and people, and there is a huge emotional attachment formed with those special horses that come around. This is great, but you cannot let it affect your betting in any way if you want to be a professional.